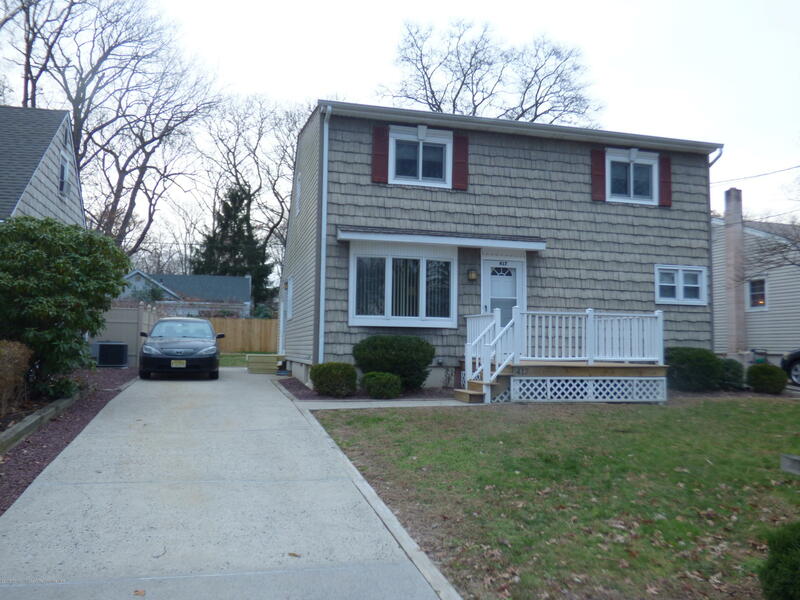 SHARK RIVER HILLS-Beautiful 4 bdrm 2 full bath turn key cape! You will love this home from the moment that you enter from the large TREX front porch! The first level offers a sunny living room w/large bay window, updated kitchen, complete w/ tile floor & stainless steel fridge & dual oven, full bath & 2 bedrooms (or den/dining room as the one has new slider leading to the large rear yard).The upper level features 2 HUGE bedrooms with high ceilings. The gorgeous second bath has oversized VIGO frameless shower with 3 shower heads, seat and beautiful mosaic tile & Shaker style vanity with granite top. The full basement is just crying to be finished into more living space!Gleaming wood floors thru out, vinyl siding, interior freshly painted, thermal windows, updated furnace and C/A.